S H Holmes, E Allsop. T. R. Buckley 2nd from left, middle row. Standing extreme right L. Waghorn (coach and groundkeeper) Ex Sussex professional county cricketer. 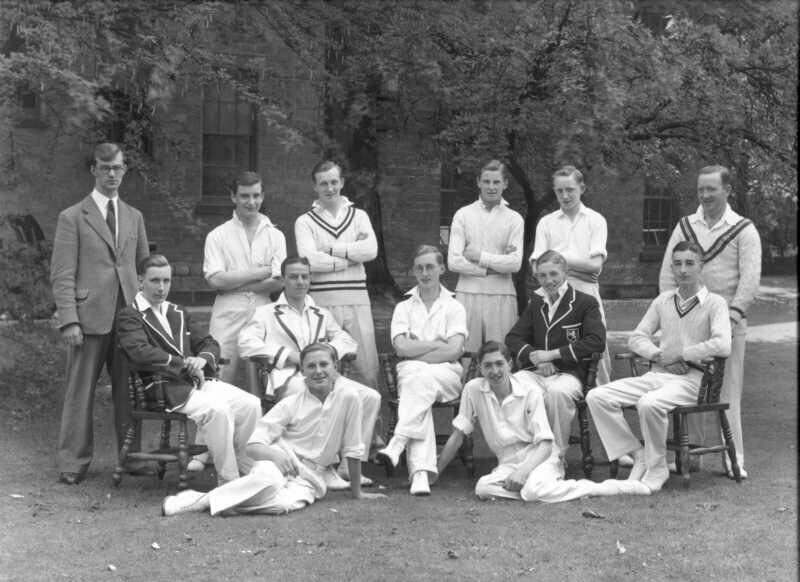 Standing extreme left Horace Brearley (master and coach) played cricket for Champion County, Yorkshire, and whose son Michael was captain of England's cricket team."